New wines, new labels, new packaging forms, new trends. All the news of our winery in preview with a simple click. Have you ever wanted to have a “talking” label on a bottle of wine in front of you? 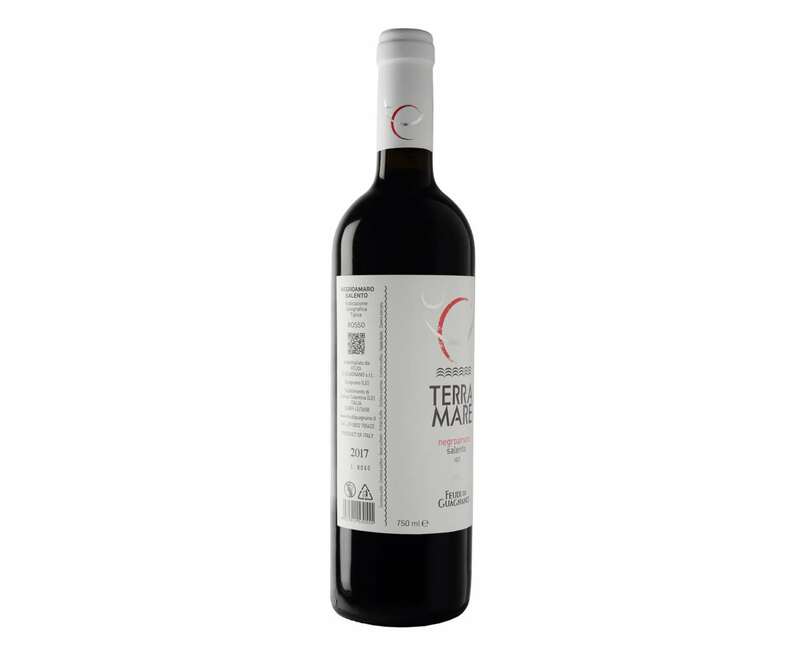 By framing the QrCode (two-dimensional barcode) placed on the label of the wines of the Terramare line, you have the possibility of viewing a short video where a sommelier explains, tasting, the characteristics of the wine while recommending the right combination. Color, scent and origin of what will be served will be available for smartphones, even for the visually impaired. The graphics are also new, with a modern design and warm colors, which recalls the marine brightness of Salento. 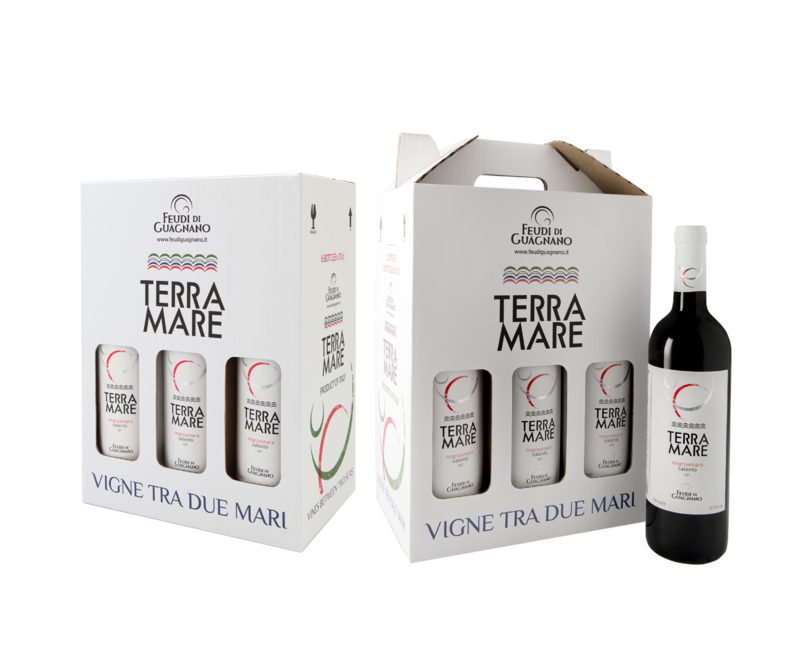 Looking at the new packaging of the Terramare line, one would say that a “cardboard is forever”. And in fact this box lends itself to being used both as a classic container for 6 bottles of wine to be palletized and as a practical “case” for bottle holders. It arrives at the wine shop or restaurant closed on three sides, the fourth through the windows reveals the new beautiful label, then it is not destroyed … it turns! The cardboard is sturdy and vivid in shades of green, red, blue and white. 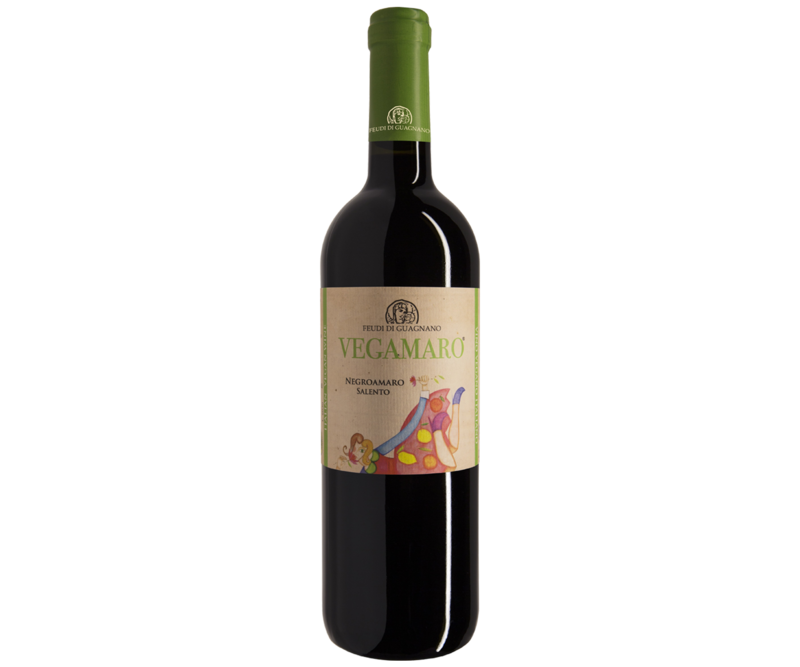 The Vegamaro represents an authentic novelty in the field of eco-sustainable enology and is the first Negroamaro in the world destined for vegans and vegetarians. This wine, whose name is the combination of the word vegan / vegetarian and negroamaro, has no taste-olfactory difference compared to a normal wine and, in fact, is also highly appreciated by the so-called “conventional” consumers. Instead, change the way you get it. In fact, in vegan wines it is absolutely forbidden to use substances of animal origin during all stages of the production process (from vinification to finishing, from refinement to bottling).